If you are new to our forums (or perhaps been here awhile but haven't been active) and are experiencing login in or registration issues- here is the place you can post your questions. If you are having technical issues on our Budget101.com site or in the Forums, please post HERE. New to the boards? Jump right in and introduce yourself! We'd love to hear where you're from and how you found our Site! A Variety of Camping, Scouting & Other Outdoor recipes - post your favorites here! Meals you can make for less than 2.50 per meal! Recipes - if you're in search of something in particular or have a great (FOOD) recipe to share- post it here! This is a place to discuss your experiences with various web hosting companies, The good, The bad & the ugly. This is the place for all ya'll to swap & share Grocery & Household Item Coupons (such as cleaners, detergents, pet foods, etc). Share your latest finds and sizzlin' hot deals - check out what others have found From Bath & Body Works to Yankee Candle- We've got the deals! Do you stockpile? Share your tips for storing your stockpiles, show off your stash of goodies & guide for dealing w/ those great coupon deals! recipes, ideas, celebration ideas for Independence day! This is the place to post things that amuse you, and the place to come when you need a chuckle. Post a heads up for New Scams Online, like special "Coupon Games", etc. Help others from being "taken" by these schemes. Do you have a question or comment for our Work At Home Mom site? Feel free to submit them here. 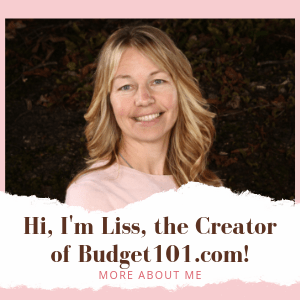 Do you work from home already or have a work from home idea to share on our wahm.budget101.com site? Submit them here. Here is a place to share your work at home ideas. This is not a place to post referral links, but rather a place to discuss companies that are LEGIT and DO pay. Any post containing Referral links will be Deleted.